For most working individuals and families one of the most exciting things to happen during tax season is the arrival of their refund. For many Californians the refund process, accuracy and effectiveness of direct deposits is smooth thanks to advances in technology. For these Californians, tax returns post directly to their bank accounts and from there, they are free to spend as they choose. Many with bank accounts still opt to have their tax returns mailed to them. In these instances, there are a few things to consider. For example, most banks place a hold on tax refund checks even though they are issued by the government as a way to help prevent fraud. 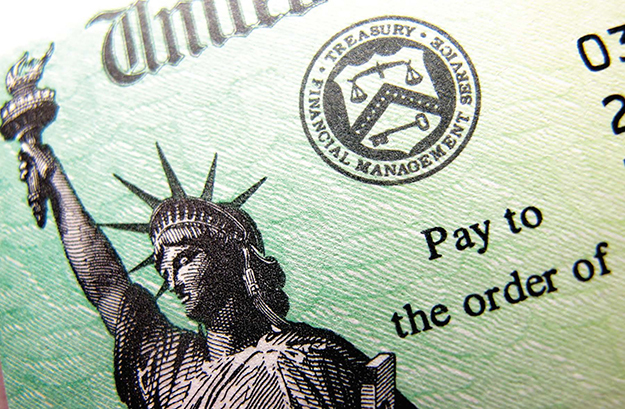 Department of Treasury regulations do, however, require banks to make those funds available for withdrawal within one business day. There is an exception—anyone who has an account balance that covers the amount of the return can deposit his/her returns against it and get cash immediately. Additionally, banks do have the flexibility to wave the time requirement for customers with accounts in good standings. There are also a couple of important points to remember in regards to signing your tax refund check. First, wait to sign your check until you are in front of the teller. This helps protect you in case the check is lost or stolen. Second, if the return is made out to both you and your spouse— you must both sign it. For couples who have a joint account, the check will be easier to cash; if not, both parties should go to the bank together and bring proper identification. This helps assure the teller both parties agree to cash the check. For most with bank accounts, the process for cashing a tax return is straightforward and as a result, refund dollars are usually quickly and easily accessible. However, a 2013 report by the Federal Deposit Insurance Corporation (FDIC) stated there are 9.6 million Americans classified as “unbanked” meaning they did not have bank accounts. This includes 7.8 percent of California households. The main reason many gave for not having a bank account was because of insufficient funds to meet minimum balance requirements. For these Californians, cashing their returns requires a little more consideration. Although some banks may allow individuals to cash a return without an account for a fee, the best option might be to open an account at a bank or credit union. Although there may be a short hold on the funds there are two great benefits to this option—first, it is free and secondly, it is a great way to establish a relationship with a bank or credit union. Another popular option is the use of prepaid cards; however, with this option citizens should take the extra step to understand the myriad of hidden fees that can eat away at their returns. Experts recommend consumers go on-line and read through the information to dig out the hidden fees before they buy into this option. Such fees can include but are not limited to annual fees, monthly fees, minimum balance fees, fees to use an ATM, fees to get cash back at a bank and more. There are also a number of check cashing agencies that will cash tax returns for a fee that can range between one and twelve percent depending on the amount of the return up to $1,000 and can increase for higher refund amounts. However, before you worry about cashing a return you must first file your taxes to see if you are eligible for a return. Tax season is rapidly coming to a close. Fortunately, this year’s deadline is extended to Monday, April 18. CalEITC4ME works to make the filing process simple for Californians to claim the state’s first ever Earned Income Tax Credit by connecting them to free tax preparation services. For example, if you are eligible for the Earned Income Tax Credit or made $54,000 or less in 2015, you can get your tax return filed for free. For more on how to file for free visit www.caleitc4me.org/get-it/. You may be eligible for the CalEITC if you have earned income in 2015 within certain limits (less than $6,580 if you have no dependents and up to $13,870 with two or more dependents); you, your spouse and any qualifying children each have a social security number; you do not use the ‘married/Registered Domestic Partners (RDP) filing separate’ filing status; and, you lived in California for more than half the tax year. For more information regarding eligibility requirements for the CalEITC and to learn how to file your income tax return for free visit www.caleitc4me.org.